I am reading the recently released memoir of poet Christian Wiman, My Bright Abyss. It’s not an easy read, but it rewards those with patience. Several years ago, Wiman found his way back to the Christian faith he had left behind as a young adult. This would not be particularly noteworthy except that Wiman is a serious published poet of the highest literary kind. He has in fact been the editor of Poetry magazine. People who move in these circles tend to be, as Schleiermacher put it, the “cultured despisers of religion.” Wiman’s book is a kind of apologia to explain to those who perhaps like him had believed without believing why he came to embrace openly the faith he had once denied. Part of his story — though only a part — is that he has been battling an insidious and deadly form of cancer. Our minds are constantly trying to bring God down to our level rather than letting him lift us into levels of which we were not previously capable. This is as true in life as it is in art. Thus we love within the lines that experience has drawn for us, we create out of impulses that are familiar and, if we were honest with ourselves, exhausted. What might it mean to be drawn into meanings that, in some profound and necessary sense, shatter us? This is what it means to love. My Bright Abyss: Meditation of a Modern Believer (pp. 47-48). Farrar, Straus and Giroux. Kindle Edition. I’ll continue to post passages that seem to me particularly worthwhile. 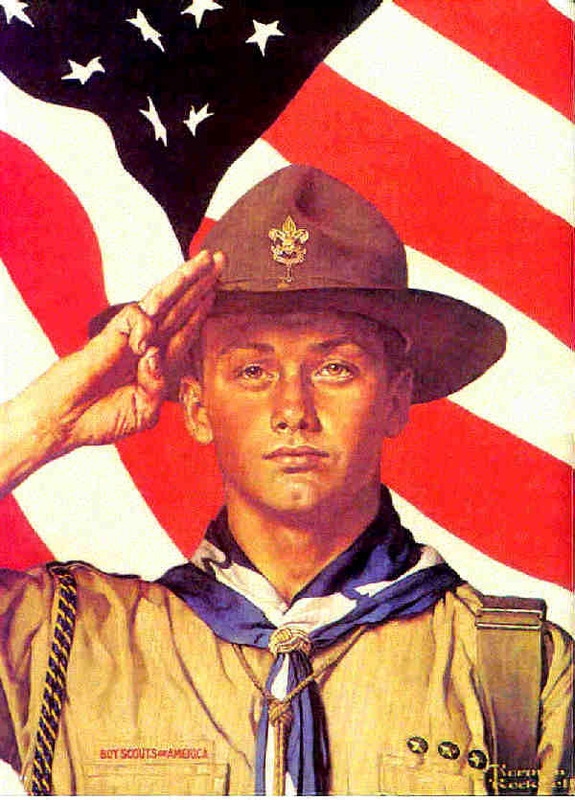 Some wag has said he didn’t see what the big deal is about the Boy Scouts allowing admittedly gay boys in their troops, since most pre-pubescent boys are gay already. That’s more a comment about preferences in companionship than sexual orientation. I suspect the controversy about the role of gays in the Scouts is yet another case of adults making a fuss over something that kids don’t even give a second thought. On the liberal side, in the ongoing crusade of nondiscrimination, the Scouts represented one more fortress to be stormed. On the conservative side, the Scouts represented an ideal of wholesomeness that would somehow be indelibly stained by allowing self-identified gays as Scouts or Scout leaders. In reality, the Boy Scouts are neither obstructionists nor saints. Like the military or the police or any civic organization, they include a wide range of people. Th e recent decision by the Boy Scout National Council, to allow gay boys to be Scouts but not gay adults to be Scout leaders, struck me as overly cautious, but it’s perhaps understandable for an organization that has had cases of sexual abuse in its ranks. Still, some corporations, such as FedEx and Caterpillar, have withdrawn their support from the Scouts because of the decision to exclude gay adults. The story has been different among the religious organizations that sponsor Scout troops. They have stood by the Scouts. Although the Southern Baptist Convention approved a resolution yesterday at their annual meeting that disapproves of the new policy, it was softer than had been expected, and churches were not encouraged to drop the troops they sponsor. According to this story from Reuters, the largest sponsor of Scout troops is the Church of Jesus Christ of Latter-day Saints — the Mormons — and contrary to what you might expect, they have accepted the new policy. The same is true of the second-largest sponsoring group, the United Methodist Church, but that is not surprising since the Methodists are a pretty all-embracing bunch. The story goes on to say the third-largest religious sponsor of Scout troops is the Catholic Church, and that will be a case to watch. The new policy goes into effect in January, and the Catholic leadership has made no decision yet about what to tell its parishes that sponsor troops. Of all religious denominations, the Catholics have exercised the most consistent (some would say intransigent) principles. Several years ago, Catholic Charities in Massachusetts gave up its adoption efforts because the state mandated that gay couples be considered on an equal basis as heterosexual couples. The church said it could not go along and terminated an otherwise positive social service. Say what you will about the Catholics, they can’t be accused of being wishy-washy. If that is any precedent, I would not be surprised if the church leadership declares that parishes may not sponsor troops rather than allow the possibility they might include openly gay Scouts. As I say, I’m sure that all this is a non-issue for most of the boys in the Scouts. My own memories of my days in Scouting are rather fuzzy, but I mostly recall boys being boys. It was about learning skills and teamwork along with having fun. For the record, I was a pretty bad Scout. Made it Second Class and earned, I think, one merit badge. The Boy Scouts do uphold certain ideals, ideals that are admirable but open to broad interpretation, which is natural for an organization as diverse as it is. Gay Scouts should be able to fit within those ideals with no trouble, if adults will let them do so. Some of the folks from Westboro Baptist So-called Church in Topeka, Kan., were in Lakeland last weekend, picketing high school graduation ceremonies at The Lakeland Center and about seven local churches, according to reports here and here from The Ledger. For those outside the loop, this is the tiny so-called church whose website URL is godhatesfags.com and who has gained way more notoriety than they deserve by picketing everything from religious conventions to the funerals of military men on the grounds that America has tolerated homosexuality and therefore God has condemned the nation. 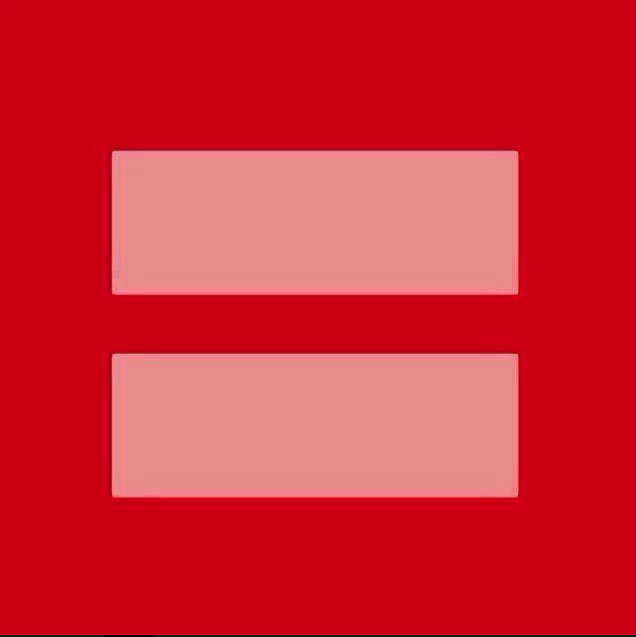 Westboro has appointed itself as the purveyor of this message and has done so in, shall we say, attention-getting ways. I first encountered these people at a Southern Baptist Convention about 10 years ago. Now you would think that if there’s a religious group that would be sympathetic to the notion that homosexuality is a sin, it would be the Southern Baptists, but the Westboro Baptist So-called Church says they’re not outspoken enough about it and ought to be ashamed of themselves for letting Americans go to hell. Or something like that. Sure enough, they are scheduled to picket the Southern Baptist Convention again next week in Houston. Basically, these folks are terrorists. If all they were really interested in was speaking out against homosexuality, there are plenty of ways they could do it in less spectacular fashion. What I saw at that convention 10 years ago was shock and awe tactics, conceived for no other purpose than to provoke and incite fear and revulsion. Some of the signs they held were near-pornographic. Westboro has perfected the art of provocation, and unfortunately, they usually succeed in arousing in others the hatred that they themselves promote. Make no mistake, this so-called church is interested really in one thing only, and that is making a name for themselves. That they may actually believe what they say is almost beside the point. As Marshall McLuhan once said, the medium is the message. These folks do get around. Sometime I’d like to see an investigative report about where they get their money. The so-called church has all of about 40 members, or something like that, and they must spend a fortune on travel. I suppose they get contributions from people who don’t mind supporting a bunch of self-aggrandizers. I say that Westboro is a so-called church because from a Christian point of view they are heretics in several ways. Their particular brand of apocalyptic theology was pronounced faulty by at least one American denomination years ago, and their overall message simply doesn’t square with the Bible on numerous crucial points. They have been called a cult, and that’s as good a way of describing them as any. If there’s a silver lining in their appearance in Lakeland, maybe it’s that it will likely be a long while before they get around to visiting us again. Not long after I started this blog, I landed a gig as a columnist for a new startup website called Florida Voices. It was intended to be the kind of new-media venture that is supposed to represent the future of journalism. The idea was that in addition to aggregating op-ed content from papers around the state, it would also offer new, original content from columnists which would be available to newspapers that subscribed. Since all newspapers have cut way back on editorial opinion staffs, and are therefore clamoring for content, this would be a way for them to have good, state-oriented content for a modest price. Yeah, guess what. Newspapers didn’t have the money even for the modest price of a subscription. The editor, Rosemary Goudreau, and publisher, Rosemary Curtiss, kept it going for about 18 months before finally throwing in the towel. There are some lessons that newspapers are learning about the current state of the media, one of them being that the Internet, far from being the salvation of for-profit journalism, continues to be the dragon that cannot be ignored or tamed. Advertising revenues on the print side still show no sign of firming up, leaving the whole situation in doubt. In any event, I have transferred almost all of the columns I wrote for Florida Voices to this blog, so the body of work — for what it’s worth — won’t be lost. Feel free to peruse back through the archives. Now, it seems, I’ll be returning to regular blogging here. I’ll try to set up a Facebook account and Twitter feed for What I Have Written, but for now, if you’re a personal FB friend or Twitter follower (@carywriter), I’ll notify you of new posts that way. A few years ago I was back in my home state of Texas visiting relatives. I drove I-35 between Fort Worth and Waco, a road I had traveled, oh, maybe 10,000 times, when I spotted a sign advertising kolaches at the exit for the town of West. I pulled off at that exit and 20 minutes later drove away happy. Kolaches, you must know, are Czech pastries with jellied fruit filling, sort of like a Danish only thicker. But they also come in a variety with a link sausage baked into the roll. To live in Central Texas is to clamor for kolaches. We know about these things because of our fellow Texans whose Czech ancestors settled in the towns around Waco and Bryan – Dime Box, Old Dime Box, Caldwell and West. Those little towns don’t have much, but what they do have are bakeries or mom-and-pop roadside stores whose owners still make kolaches. We thought nothing of driving 20 miles over farm-to-market roads to bring home white pasteboard boxes filled with fresh pastries. The land around West is black clay prairie – open, mostly cleared of post oaks, rolling country ideal for growing cotton and sorghum. I don’t know West, but I’m sure it’s like hundreds of other small towns in that region, a place where life is dominated by the concerns of agriculture – weather, commodity prices, fuel prices – and by rural institutions – school, church and small businesses. Fertilizer plants are not uncommon around there. By one news account, last week’s explosion at the West Fertilizer Company plant that killed at least 14 people and leveled buildings for a mile in all directions destroyed an elementary school and maybe irreparably damaged the middle and high schools as well. It’s not hard to imagine that the folks in West are thanking God that the fire at that plant didn’t start in the middle of the day, when kids would have been in those classrooms. Perhaps that’s one of the miracles to be contemplated in the aftermath of the disaster. Armchair theologians – as well as reporters who haven’t set foot in a church since the day they were confirmed – asked the tired, old question, “Where was God in West, Texas, when the plant exploded?” One possible answer is that God was cursing the state and federal agencies that had not properly inspected that plant, by one news account, since 1985. The explosion appears to be due to the deadly conjunction of good intentions and negligence. The Huffington Post reported that the current owner of the plant is a local farmer, described as a good man who had bought it several years ago to keep it open for the benefit of farms in the area. The plant manager had been in charge for decades, and it’s easy to imagine that the owner simply turned the operation over to the manager, who kept running the plant as he always had. Missing in action were any inspectors who might have questioned whether the tons of ammonium nitrate in the plant were properly stored. At least since 1995, when Timothy McVeigh used that same substance to kill 168 people in Oklahoma City, you’d think some federal and state agencies would have redoubled their efforts to check fertilizer plants, but a place like West tends to get overlooked, in more ways than one. Until something like this happens anyway, and then government officials begin looking for the nearest place to point a finger. The Republicans who largely have run Texas since 1995 ought to point that finger right at themselves. This is a party that abhors government oversight and figures that little operations like West Fertilizer are much better off if they’re left alone. It was, and we see the result. Inspections might well have shuttered that plant, and the farming community would have been inconvenienced, but it would have survived. Last week, 14 people didn’t, and West, Texas, may never recover. If I ever again am fortunate enough to get my hands on a Central Texas kolache, I expect it to taste just a little bitter. It’s a pleasant Sunday in Lakeland, not too hot and not too cool. It’s a comforting end to a very long walk for about 150 farm laborers, who marched 200 miles from Fort Myers last month to put pressure on Publix Super Markets. The Coalition of Immokalee Workers, the closest thing to a union that these impoverished, mostly immigrant tomato pickers have, has been trying for years to get Publix to join the Fair Food Coalition, in which suppliers and purchasers agree to pay the workers a penny more per pound of tomatoes picked. That one penny can mean up to $70 more per day for a worker. Eleven other corporations, including restaurant giant Yum! Brands, have joined the coalition, but Publix has refused to join or even meet with the workers or coalition leaders. The CIW has gotten a lot of support from religious leaders, especially the Catholic Church. Bishop John Noonan of the Diocese of Orlando spoke to the marchers after they arrived in Lakeland. And in the crowd, several religious groups were represented. The Rev. Russell Meyer, executive director of the Florida Council of Churches, quipped, “This is our Palm Sunday parade into the temple of commerce,” even though it wasn’t Palm Sunday. Also among the marchers was a hero to many young evangelical Christians, the author Shane Claiborne. He had come down from Philadelphia, where he lives and works in a communal urban ministry. A dozen years ago, he walked in a similar march with the CIW. “I’ve gotten to know these people as friends,” he told me in a Southern drawl. “It’s a very beautiful movement. It invites people to be who they could be.” Referring to the late George Jenkins, the founder of Publix, and the Jenkins family, he said, “I know they’re Methodists. There’s no doubt in my mind John Wesley would be alongside these walkers. I have a number of friends who work for Publix, and it’s where my family usually shops. I’ve seen firsthand the community projects supported by Publix Charities. So I’m a little puzzled by Publix’s corporate stance. Its position has been that this is a labor dispute, to be settled between the growers and the workers. Publix spokeswoman Shannon Patten told The Ledger of Lakeland that the company would pay the extra penny per pound if that’s what the growers charged. “This is what we mean when we say, ‘Put it in the price,’” she said. Patten also raised the prospect of Publix having to get involved in disputes with any of its other thousands of suppliers. I can see the point, but fresh produce is a unique commodity that depends heavily on intensive, brute-force, unskilled (and therefore cheap) labor. These workers are crucial to Publix’s supply chain, and I would think they could see the benefit of cooperating with the other parties involved. As it is, it leaves the impression of a company just wanting to avoid controversy and hoping that if it ignore the issue, the whole thing will go away. From a corporate point of view, it might work. From a moral point of view, not so much. There’s something distinctly American about praying at public events – graduations, football games and such like. Having witnessed too many of these prayers to count, I can’t say there is much religious or spiritual about them, but by golly, we Americans can be sure that – unlike the Brits or the Swedes or the Japanese – whenever we assemble, we’re going to be knock, knock, knocking on heaven’s door. That goes for our governmental meetings as well. Both houses of Congress open each day’s session with prayer. At least 82 of the 99 houses of the states’ legislatures do the same, with virtually all allowing for prayer on some occasion, according to the National Conference of State Legislatures. And in the South and Midwest particularly, it is hard to find a city council, county commission or school board that doesn’t have a local pastor on hand to invoke the Almighty’s blessings on the proceedings. Thanks to a recent ruling from the 11th U.S. Circuit Court of Appeals, the City of Lakeland will continue to be one of them. (See a news article here.) The court ruled in the city’s favor in a lawsuit filed in 2010 by Atheists of Florida Inc., challenging the City Commission’s practice of opening its meetings with prayer, contending that it was a de facto endorsement of a particular religion, Christianity. The lawsuit was the culmination of almost two years of complaints and protests on the part of the atheist group. Full disclosure here: I covered this story for The Ledger of Lakeland from the time Atheists of Florida began its protests until 2011. The city’s main antagonist is a former lawyer from Pennsylvania named EllenBeth Wachs. Until a recent falling-out with Atheists of Florida, Wachs manned a lonely outpost as director of the Lakeland chapter of the small Tampa-based organization. With occasional support from one or two fellow atheists, Wachs would show up at the commission meetings, remain seated during the prayers instead of standing as requested, complain about the prayers during the public comments period, skip over the “under God” phrase when reciting the Pledge of Allegiance and engage in other mildly disruptive acts. Finally, her group filed the lawsuit. The commission’s practice had been to invite on a rotating basis pastors from the city and its immediate environs to offer an invocation. Wachs’ lawsuit complained that the invocations inflicted religion on those like her who have no beliefs and that the prayers offered were sectarian – they were invariably Christian. The lawsuit had no chance on the first point, since the U.S. Supreme Court ruled in Marsh v. Chambers that prayers are allowed at legislative meetings provided they do not have a sectarian purpose and efforts are made to ensure all faiths are represented. The lawsuit’s second point was true, since out of all the city’s houses of worship, only three are non-Christian – one synagogue, one mosque and one Hindu temple, and the mosque and the temple have no installed clergy. In other words, the prayers were sectarian, but they reflected the religious nature of the city. Still, the city altered its policy slightly to ensure it complied with Marsh, and the lawsuit was thrown out at the District and Circuit levels. Wachs may be a gadfly, but she paid a price in the form of unwarranted harassment. She got the usual complement of hate mail, but then Polk County Sheriff Grady Judd, who had clashed with Wachs on another matter, had Wachs arrested on charges – later dropped – of practicing law without a license simply because Wachs used “Esq.” after her name on a petition. It was a petty, all-too-predictable abuse of authority from the establishment of a traditional county like Polk. My view is that these prayers are pretty harmless from a civic point of view, which is exactly why they’re problematic from a religious point of view. These prayers are invariably bland, homogenized pabulum intended to reassure the status quo rather than hold it up to the all-revealing light of God. Any prayer that really tapped into the nature of God would clear out a council chamber in seconds.